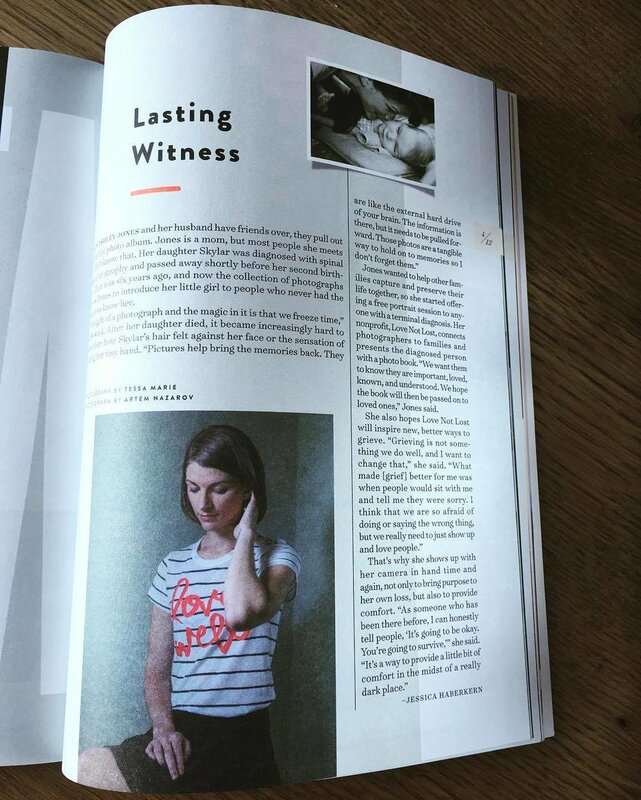 We are so grateful to all of the wonderful publications, bloggers, podcasts, and media outlets who have featured Love Not Lost to help us spread the word and get our mission out into the world. We appreciate every opportunity to connect with people. From events like Plywood Presents, where we've had the chance to be on stage and also meet people at our booth in the marketplace the following years, to speaking directly with companies and groups like Ronald Blue & Co. and The National Christian Foundation, we love to inspire, encourage, and challenge people. Growth Lab launched a YouTube series called Tiny Empires, and featured Love Not Lost in one of their episodes. We are so honored they chose to tell our story and help us share it with the world! We are incredibly proud and honored to have Ashley be selected as a “20 On The Rise” in 2018. It’s a celebration of individuals who are making waves and raising the tide, rocking their respective industries through hard work and creativity. This isn’t a popularity contest nor is it a ‘most liked’ list. 20 On The Rise is a curated list of 20 rising stars in 5 categories nominated by you and selected based on: empowerment, impact, purpose, and passion. We are truly honored to receive such recognition. Ashley Jones is the Creative Mornings Chattanooga speaker on Death to close out the end of the year. She challenges us to meet death head-on and make something beautiful of it. Plywood Presents: Ashley Jones, founder of Love Not Lost, pitches her vision of celebrating life and supporting people in grief during the 2016 Idea Competition. Ashley Jones shares about the adventure life threw her way, how it led to forming Love Not Lost, and inspires others to seek adventure too. Enjoy this conversation between Molly and Ashley as they share memories, talk about the creation of Love Not Lost, and discuss how we can better handle grief together. Shane Benson and Kevin Jennings interview Ashley about starting a business, and turning pain into a greater purpose. Check out the full episode here! Jeff & Andre Shinabarger talk with Ashley and her husband, Kyle, about grief in marriage while pursuing work and love in this intimate podcast interview. Shantel interviews Ashley for an in-depth look into the entrepreneurial side of running a nonprofit. Listen and learn how Love Not Lost was formed. Beth and Ashley dive deep into pain and purpose as they talk through Ashley’s story, how death stings, how photos can heal, and how Love Not Lost is on a mission to help. Jack Fussell was kind enough to invite us on his Onward Creatives podcast after hearing our story at Plywood Presents. We loved sharing our story with Jack and his listeners. 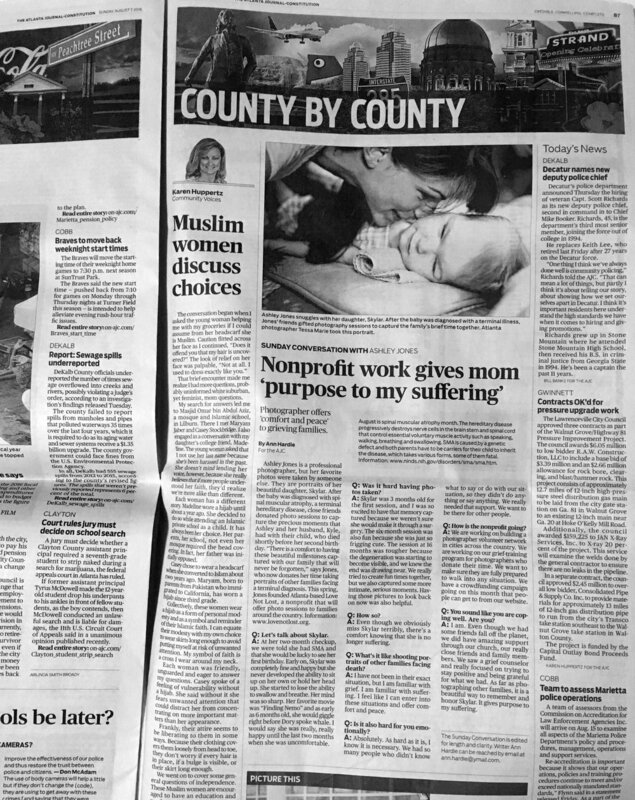 The Atlanta Journal Constitution was the first major publication to pick up our story in their Sunday Conversations section in their Sunday paper when we launched. Clemson World Magazine featured us in their "Tigers on the Move" section which is a huge honor. We're grateful for their help in raising awareness for Love Not Lost. InTouch Magazine created a wonderful write-up of our story to help us raise awareness and inspire their readers on the topic of "redemption" in the fall of 2016. 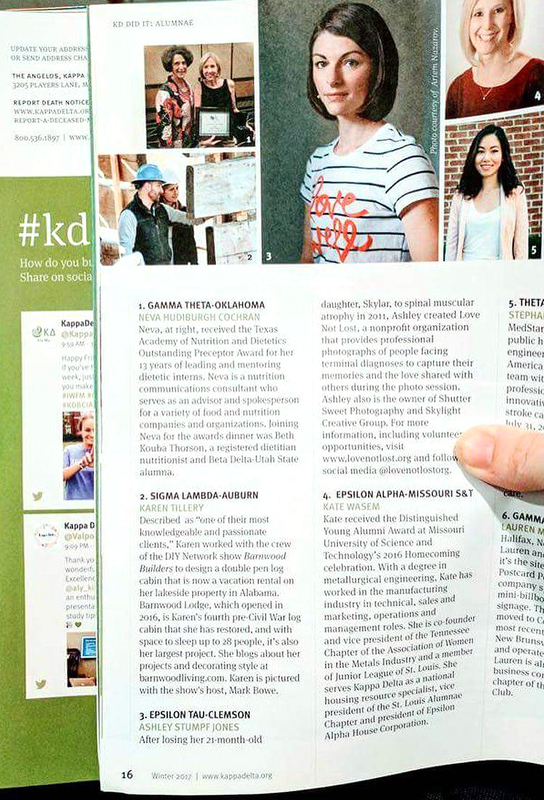 The Kappa Delta Angelos, the magazine that goes out to all Kappa Delta Alumnae, featured our story among the alumnae who are doing great things in their 2017 issue. Voyage ATL picked up our story and featured our founder, Ashley Jones, as a trailblazer in this deep-dive interview. Ashley was asked to guest-write for this blog about transitioning from her photography business to Love Not Lost. Read more. The ShootProof blog featured five organizations using photography to help others. We were honored to be included with the list of other amazing causes. See Beautiful is a great organization that has given us two grants to help us get started! We’re so grateful! We are so grateful that Parade featured Love Not Lost for their Valentine’s Day Picks to spread love this season! The Dream Warrior Foundation featured Love Not Lost on their website in this interview with Ashley on life, grief, and death. Canvas For A Cause is an amazing cause that donated all the canvases for our launch event. They shared our story to their followers online and helped us raise awareness. We Are Rosie featured Love Not Lost and Ashley in their 2018 list of “5 Women Shaking Things Up” - check it out! We are so grateful the Big Fake Wedding was one of the first blogs to share our story and help us raise awareness. We shared our heart during Pregnancy & Infant Loss Awareness Month in hopes of helping people in grief and letting people know they're not alone in their pain. Hello Hope shared our story to give hope to others who are facing a terminal diagnosis & let people know they’re not alone. Midtown Patch highlighted our launch event on their site and shared our story with their readers in Atlanta. Black Sheep Bride showcased us on their blog for their "Thankful Thursday" feature to help us raise awareness and spread the word about Love Not Lost. 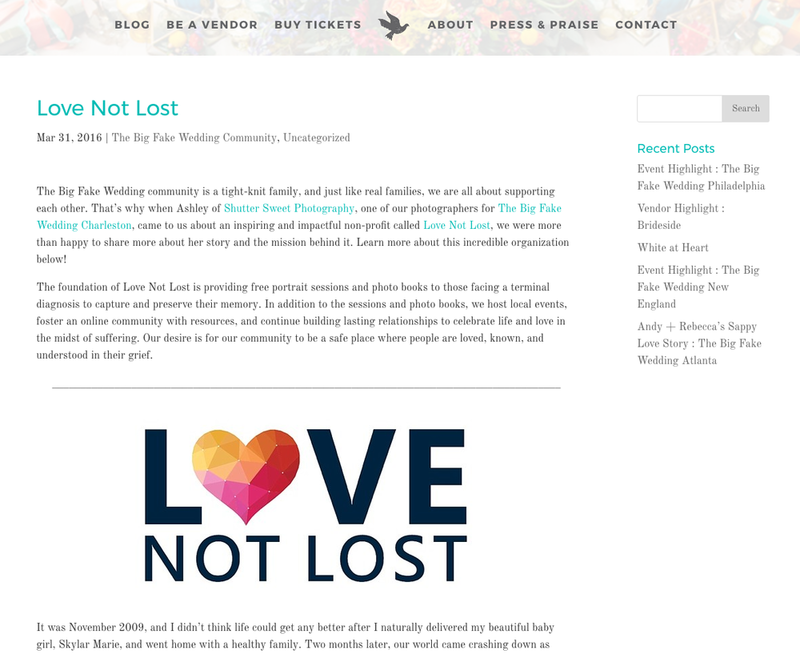 Love Not Lost was selected as one of the nonprofits to participate in the 48in48 Super Bowl special event. CBS came to do a feature on the event and ended up interviewing Ashley spur of the moment! We were invited onto the Empire Radio Now show for an interview about Love Not Lost. It was a really fun show in the afternoon and we were honored to be a part of it!